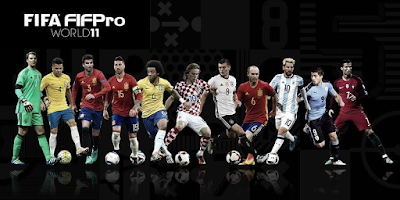 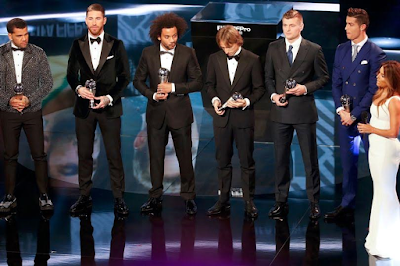 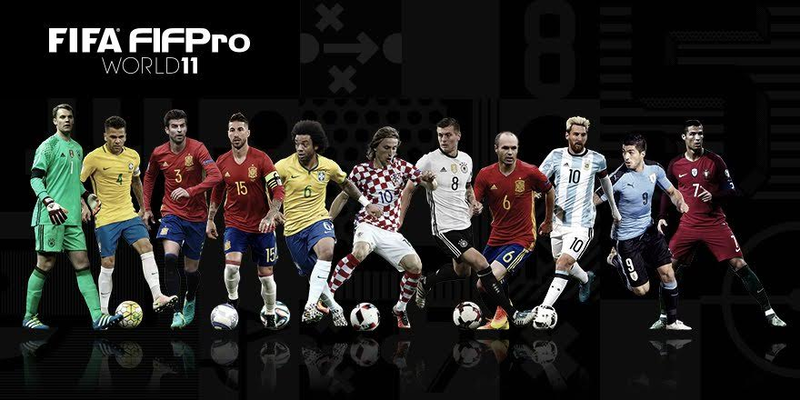 The FIFProXI , FIFA's 11 best players in the last calendar year was Monday evening announced at The Best FIFA awards that took place in Zurich, Switzerland. 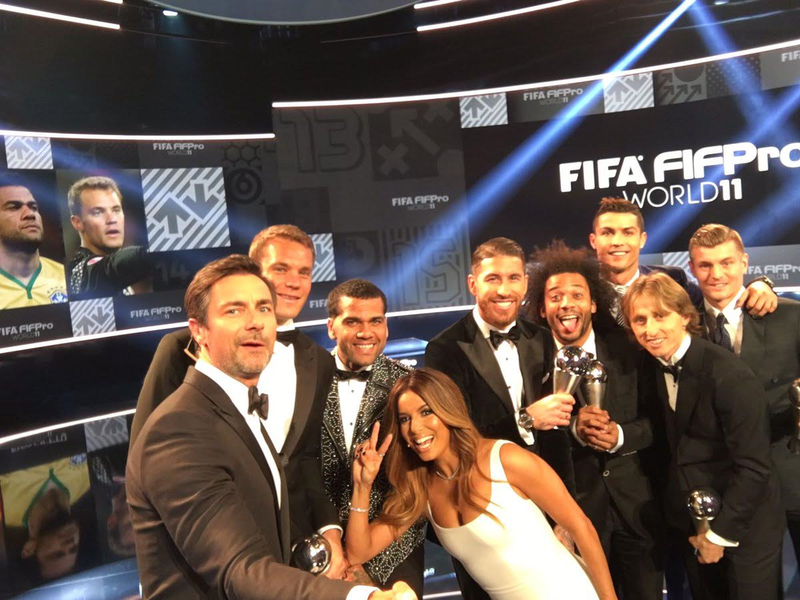 Cristiano Ronaldo, Lionel Messi and Luis Suarez made up the front line, while Real Madrid captain Sergio Ramos spearheaded the defence. 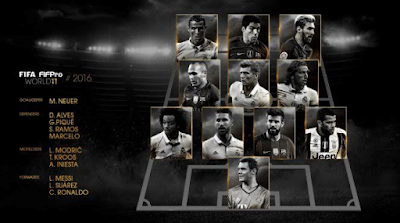 No player form the English premier league was selected in the FIFA team of the year. Other big names in the starting eleven were Dani Alves, Luka Modric and Andres Iniesta.